Men often judge women for the time and effort that we spend to get our hair to perfection along with all the products we have lined up in the bathroom along with the specific shampoos and conditioners that are essential to our lives. And do not even get me started on the heating and styling tools that take up most of our money and we have learned we cannot live without. In short, many of us women have spent countless hours and a lot of money to perfect our styling routine and I think that we can, at times, become envious of men and their seemingly easy shower and prep routine. It seems as though we need a good hour or so to get ready for a nice night out or a date or a few hours at the salon when we get our hair colored and blown out. Men, on the other hand, just hop in to the shower, wash with a 2-in-1 and let themselves air dry, possibly adding some product if they are feeling up to it. Even a haircut seemingly takes a fraction of what ours takes. We are still picking out the right highlight color as a man comes and goes with a fresh cut. How is that fair? Maybe it is simply because males have not been taught what they need to do and the products that they must purchase in order to live their best conditioned life. Or maybe they just have not cared to learn. Fortunately, the tips that are the most useful are quite easy to follow and any basic male can follow this routine while maintaining it in the long-run. First off, all males need to ditch the 2-in-1 hair products as they are considered to just be cheap and an easy way out, in the hair dressing world. Yes, hair does take some effort but in the end, you will thank yourself and be happy that you went the extra mile. It is much like the way you probably feel when you see a well-styled female walk past you and you can see that she cares about her hair and how it is shaped. Hair can be a huge draw of attraction to your partner so you should do your part, as well, regardless of how long or short your hair may be. Here’s what you should know in terms of shampooing. Only do it two to three days per week, depending on your hair type. If you have long hair, you need more maintenance and if the hair is short as well as super healthy, most males can shampoo once a week. That’s pretty amazing but by the same token, if a female gets an amazing blow out, it can last up to a week. Shampooing actually strips hair of the natural oils that are needed to keep follicles healthy and happy. Condition more than shampooing as conditioners have all the essentials to keep hair healthy and moisturized. Once you have finished in the shower, do not use your towel abrasively on your head, to avoid hair loss. Hair loss is something that every man seems to fear. By rubbing your hair too roughly with your towel, it can rip delicate follicles. So, pat dry with the towel. There is no need to be rough, even if you are in a hurry and think that this will speed up drying. It will only cause breakage and possible hair loss, which is something you most definitely want to avoid. Also, use a wooden comb or a paddle brush on your hair when it is wet or damp to get out any tangles without ruining or ripping your locks. 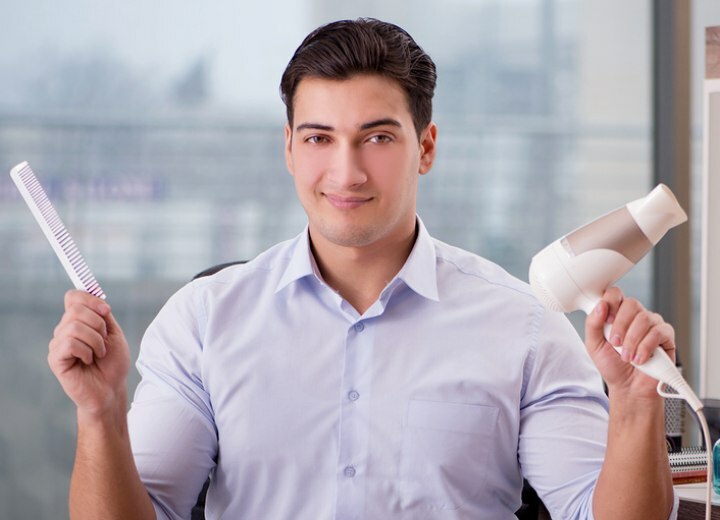 As for styling tools, if you opt for a hair dryer, always go for drying it on cool. Too much heat can burn out hair as well as causing frizz and follicular damage is not a fun situation to get into whatsoever. If you are not going to go for a blow out then what are you going to do? Using a blow dryer is great for fullness if you have thinner hair but it can also help to secure any gels or pomades that have been applied. But, what about hair products? Only a dollop of product is needed, by the way, just in case you were ever wondering. Many men over use products when they first start to experiment but literally, a quarter sized amount can do wonders and will help to avoid build-up. Plus, it will keep the cost of buying said products down and you will not have to worry about running out all of the time. If your hair is thinning, matte products are preferred but with regular hair, the sky is the limit. If you are an active daily product user, you will want to and have to wash your hair every single day, unfortunately. You will want to get the residue out of your hair as soon as you can, again, as to avoid excess build-up. So, here is a review of the basics when it comes to establishing a regular hair routine. Do not over shampoo your hair, stick to about two to three times per week and make sure that you condition; it is actually more valuable than shampooing. Along with that, ditch the 2-in-1 products because they are not worth your time and money. If you use hair products daily, then you will be forced to wash your hair all the time but always make sure you are very cheap with products as in you do not need a lot to make a big impact. 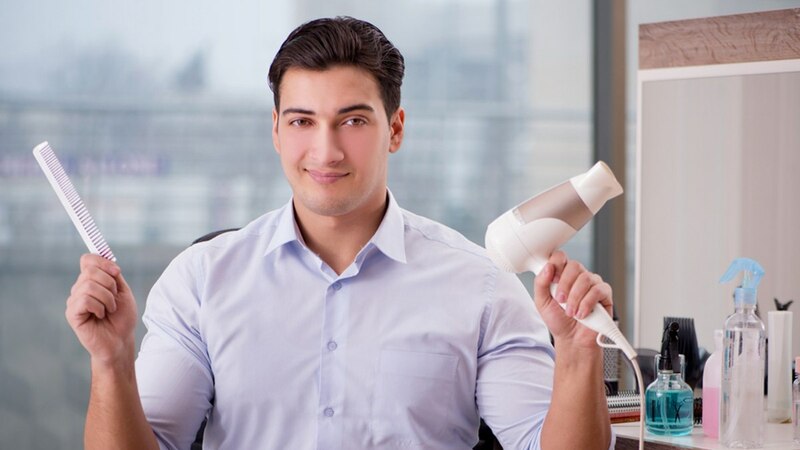 Hair dryers should be kept on cool and used for setting products or creating thickness and never roughly towel dry your hair but rather pat it dry to avoid breakage. The right wooden comb can help keep your hair detangled and smooth while a paddle brush should always be kept in the drawer, as well. Embrace your curls and if you are losing your hair, do not try to hide it but rate keep your locks short and tight. 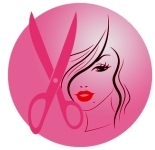 And if you have any questions about going shorter or longer, feel free to consult your stylist. They know how to help your hair type the best! Good luck!